In our previous article we looked in details at advantages of investing into touristic real estate. Among such benefits are generation of continuous cash flow from rental payments, intrinsic security and inflation protection and opportunity for long-term capital gains. The most promising objects of commercial real estate are luxury properties that do not lose their value even during economic turmoil. In this article we will look at more specific example of investments in skiing region Gosau in Austria. In our previous article “Investments in touristic real estate: reliable protection of investor’s capital” we looked in details at advantages of investing into touristic real estate. Among such benefits are generation of continuous cash flow from rental payments, intrinsic security and inflation protection and opportunity for long-term capital gains. The most promising objects of commercial real estate are luxury properties that do not lose their value even during economic turmoil and today attract growing segment of tourists looking for exclusive travel experiences. Evaluation of geopolitical risk plays a very important role when investor is choosing a property object. From this point of view, skiing regions of Switzerland and Austria look very attractive. 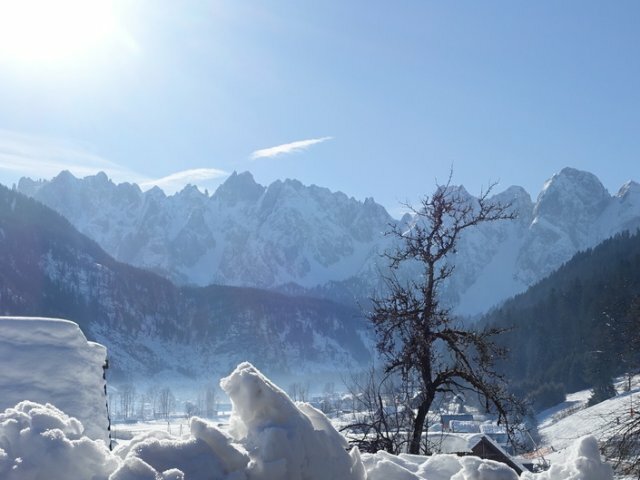 In our article “Secret escape to Alpine Gosau” we told about rapidly developing Alpine region in Austria that already has necessary infrastructure and offers unique and wide opportunity for tourism and holidays, but still it is not overcrowded with tourists and can attract potential investors for many reasons. At the same time price of land in Gosau is still much lower than in other comparable Austrian resorts. However, this situation has been changing very fast. Land plots prices in the best locations of Gosau are now 40% higher than three years ago. In this article we will look at more specific example of investments in skiing region Gosau in Austria. 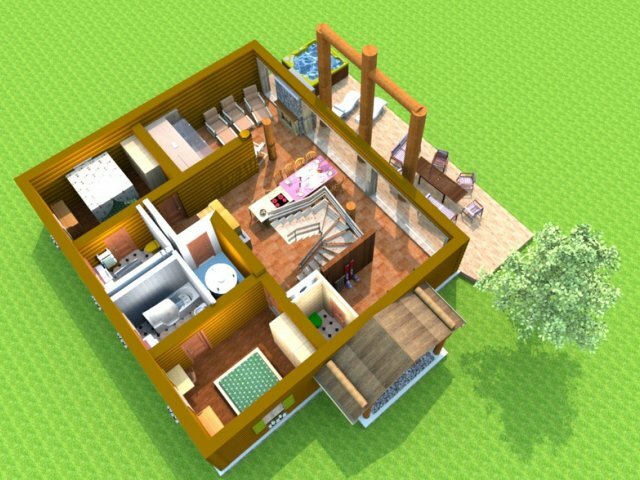 This project offers investment into luxury chalets located in Gosau village. Such chalets give guests authentic feeling of life in Alpine mountain house, but at the same time provide for all necessary aspects of modern luxury residential place. It shall be noted from the beginning that chalets we describe in our article are as good as luxury hotels today. Moreover, they offer additional benefits compared with expensive hotels. Important moment of such benefits is privacy and confidentiality of tourist and his/her family. Let’s consider wellness area that each chalet is equipped with. According to laws of Central Europe only naked people can enter the sauna. It is not always acceptable for Europeans, not talking about people from other countries that are sensitive to this issue, especially in the place that is used for relaxation. For this reason, children under 16 are not allowed at hotel saunas. 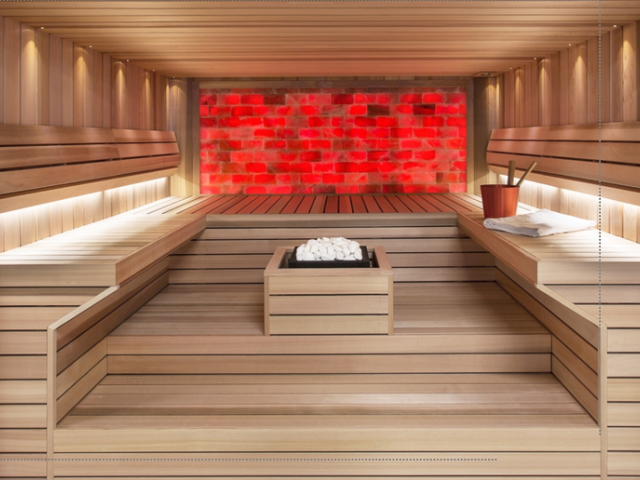 Equipped saunas in chalet will help avoiding those issues and offer place to rest for family or friends. Besides, SPA-centers of hotel have very strictly limited working time, and not all tourists find it convenient. It is obvious that there will be no such problems with chalet, since sauna is available all day there. Privacy of chalet also attracts people that are tired of big city’s rush or having professions where they have to deal with lot of people. At the same time, during holidays they do not want to live in large hotel rooms. Although hotels are now offering luxury apartments on top floors, it will be hard to avoid feeling of crowd anyway. 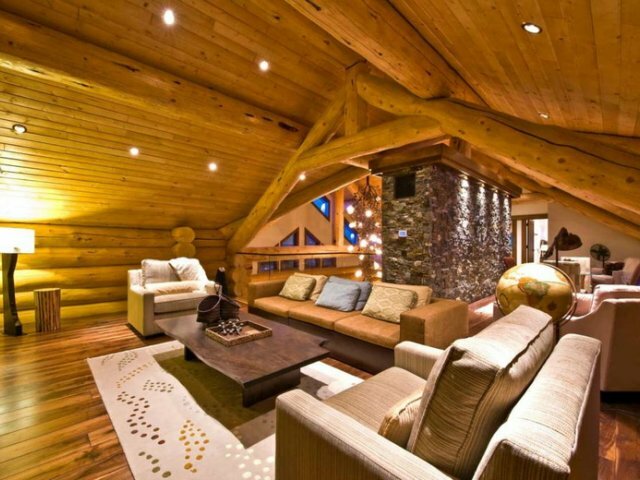 On the other hand, chalet offers absolute privacy but with sizable spaciousness. 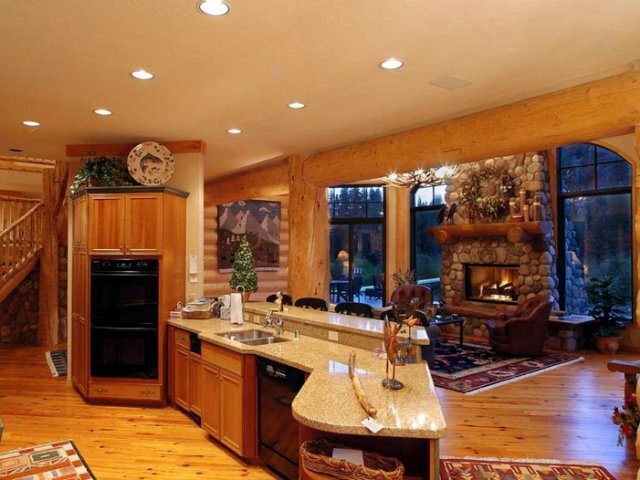 Kitchen and dining zones are wisely planned, and this makes chalet different from hotel. Guests will not have to dine according to some schedule and spend time with unknown people. They can have lunch or dinner in relaxed and elegant atmosphere together with their families cooking or ordering food. It is also possible to use services of personal cook chief. Finally, according to construction norms hotels cannot use wood as material for building and molding for 100%. 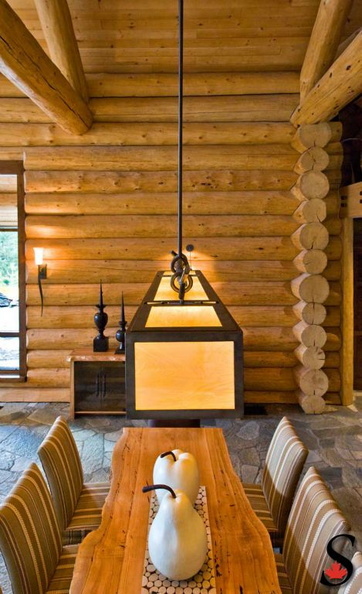 In the Alpine regions of Central Europe, mountain lodges have been built from natural, solid log wood since centuries. This is the typical chalet architecture, which guests associate with the Alps, alpine holidays and genuine mountain lifestyle. Private green territory around the chalet is also a big plus. An old-style chalet, with its traditional round log wood walls visible in the inside, is said to be the epitome of authentic alpine living. But a building made 100% of natural wood is not only romantic to look at. 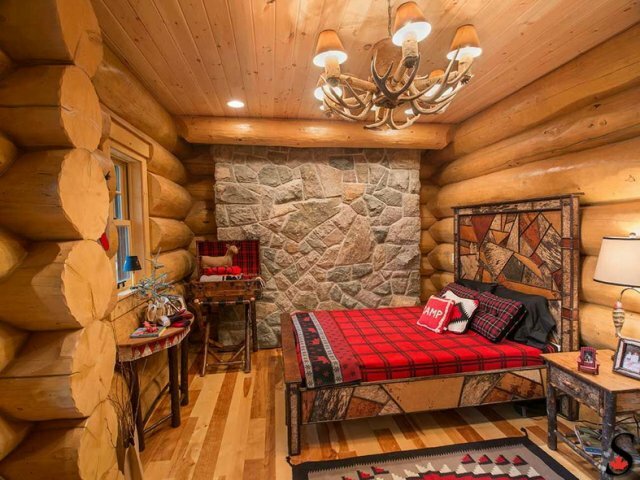 As scientific research proves, staying in a house with walls from untreated natural logs has a positive effect on human health, especially on heart and stress reduction. Classical chalet design was enhanced with two modern elements, thus creating a unique holiday experience for luxury-demanding travelers. First, the large southern fronts of the chalets completely consist of glass windows, which make the alpine landscape an integral part of the living area, the lounge and the wellness area, and provide a breathtaking view to the Gosaukamm massif. Even more, on ground floor the window doors are sliding, and extend the living and wellness areas onto the large terrace, the jacuzzi and the garden. Second, the chalets have a very large lounge and living area with integrated designer kitchen zone and open gallery, which extends over two storeys and more than 110 m² floor space. All of this area has a direct, sunny south view to the mountains because of the completely windowed gable front. Designed for a maximum occupancy of 8 persons, the chalets offer plenty of space for common activities like dining and conviviality, but also a lot of individual refugiums, if some guests want to be on their own. Chalets will definitely attract affluent travelers seeking authentic alpine holidays with utmost comfort and quality of life in perfect settings. Maximum occupancy is 8 persons. Chalet has hotel quality, offering 4 bedrooms with ensuite bathrooms. As a result, it is suitable for up to 2 families with children, one family with three generations (parents + children + grandparents) or 4 friendly couples. Philosophy of this project will be most appealing to guests who want perfect privacy, generous space for living and leisure and don't want to be bound by the fixed schedule of a hotel. Private wellness inside each chalet enables the guests to relax in absolute privacy and without the limitations of opening hours of a hotel spa. 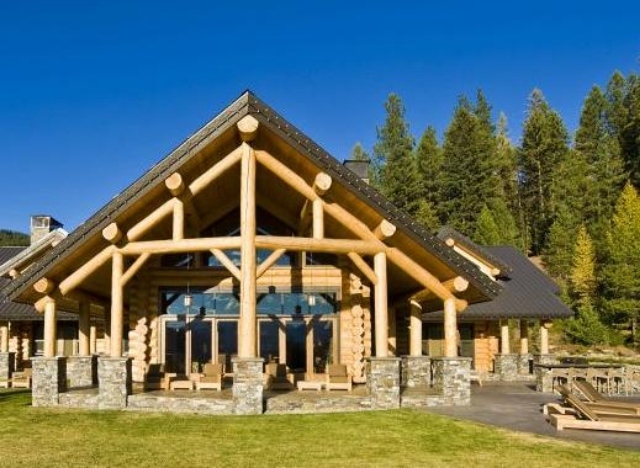 Building structure made of handcrafted, solid log wood of Canadian Red Cedar. 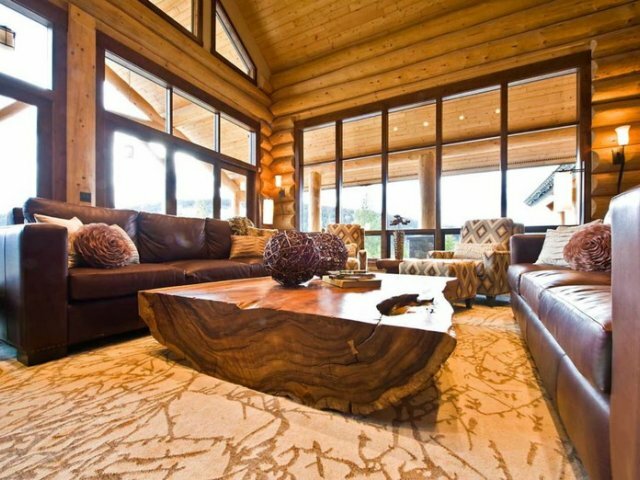 Canadian Red Cedar is one of the highest-quality construction woods worldwide. It has perfect thermal insulation values, is very stable and resistant to decay. 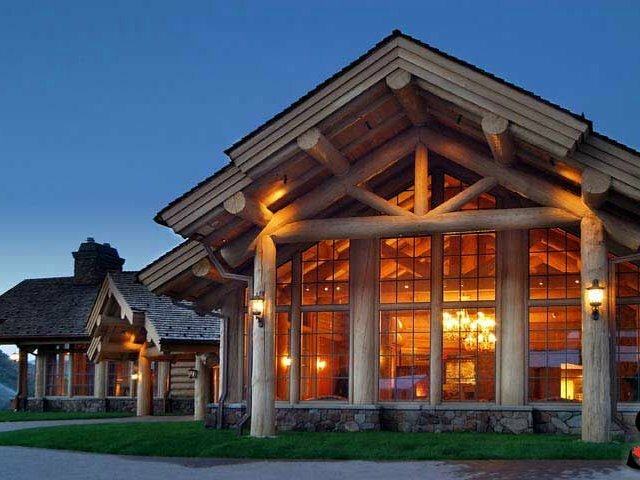 Log buildings made of Canadian Red Cedar can have a life expectancy of several hundred years. Canadian Red Cedar wood has a mellow red-golden color and a pleasant smell of cedarwood. 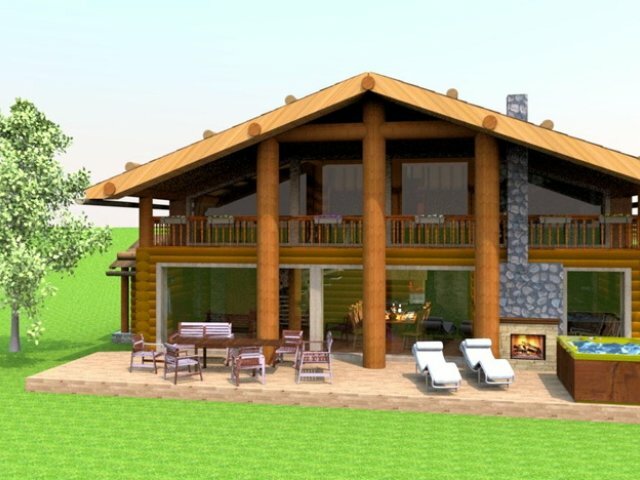 Natural construction materials are exclusively used for building structure and insulation. This entitles the chalets for eco-label "green" certification and ensures a very healthy indoor climate, suitable also for guests with allergies or respiratory problems. 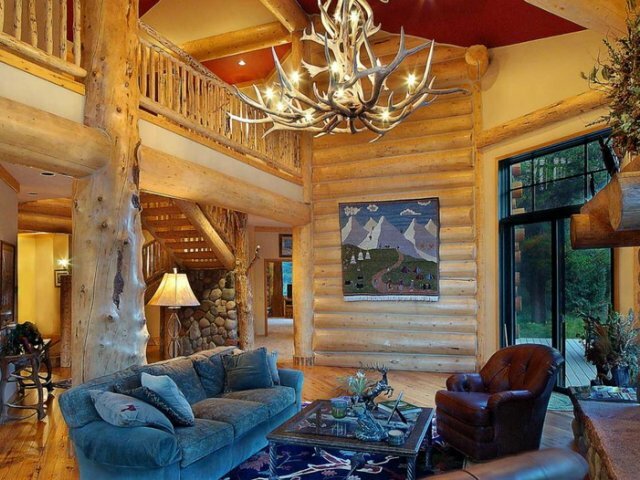 More than 110 m² of chalet is devoted to living area and lounge with 2-storey open gallery. There is a large open fireplace in living area, as well as Scandinavian wood-burning stove at lounge on upper floor. 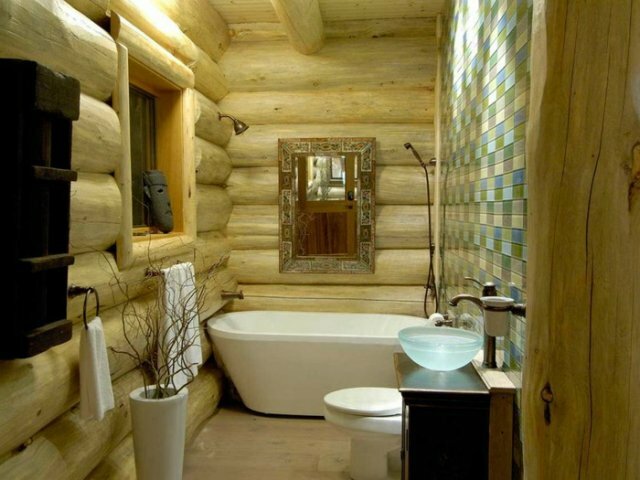 There are four double bedrooms in chalet, each with ensuite bathroom with bathtub, shower, toilet and bidet. Additional guest lavatory is located on ground floor. Guests can relax in large sauna (both steam and Finnish) with mountain view and direct access to the garden side. Terrace with area of 50 m² is located at south-side and has heated whirlpool (useable in winter too!) and outside open fireplace. Because of the slider-window front, living area and terrace can be used as combined area, when weather is good. 28 m² south-side balcony is on upper floor with mountain view. The large roof overhang protects against wind and rain, and allows sunbathing even during sunny winter days and barbecues in summer, independent of weather conditions. There is also storage area for ski and sports equipment necessary for skiing fans. Central design theme is Alpine feelings with warm and distinctive luxury. All walls, ceilings and floors covered with natural materials from the mountains: wood of red cedar, mountain pine and fir, stone walls from granite and alpine marble (in bathrooms and some parts of interior), floors from terracotta tiles in living area, sauna and bathrooms, and from spruce boards in lounge and bedrooms. Fine cooking with family and friends is a new lifestyle trend. In the chalets' living area, a top-class kitchen island with bar seamless integrates with the large wooden dining table, creating a center of communication and conviviality, where the guests meet for dining, fine wines and good life. And of course all this with grandiose view to the mountains. In the upper floor lounge, separate groups of armchairs and sofas form refugium for reading a book, sit in small groups or watch television or films undisturbed by others. Chalet is equipped with perfect multi-media and communications: smart flat-screen TVs in each bedroom, large cinema-quality entertainment center in the living area, two separate smart TVs in the lounge (with own headphones, so children will not disturb the adults, or men watching their favorite soccer club not disturb the wives). High-speed WiFi / WLAN Internet in all rooms and outside garden. Bedrooms have cozy and romantic alpine atmosphere and hand-crafted beds from alpine wood. Bathrooms have direct access from the bedroom for ultimate privacy. All furniture is made from 100% solid wood, without synthetic additives or other hazardous chemicals. 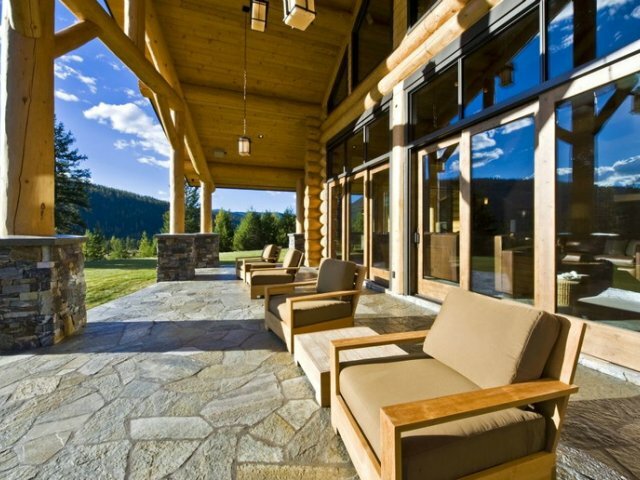 Chalet infrastructure helps making guests’ stay comfortable as much as possible. Car parking with canopied car-ports (important for protecting guests' cars from snow and ice during winter season) is located nearby. There are 3 parking lots per chalet. Chalet heating will be by a central wood pellet heating plus additional thermo-solar system, located in a separate infrastructure building apart from the chalets. The heating method in the chalets will be an under floor heating. The combination of wood pellets (= regenerative biomass from local forests) and thermo-solar system, positioned on the roof of the carports, is the most ecological and most cost-effective heating solution for properties in the Alps, which is available today. In addition, the Austrian state provides a 50% government grant for the construction costs of such a system. The separate infrastructure building will also contain a common room and sanitary installations for housekeeping personnel and gardeners, as well as centralized control and monitoring systems for the chalets' utilities management and the burners and fuel-storage for the heating system. This ensures that the chalets' guests will not be disturbed by any noise of the technical installations. The size of land plot is 3566 m². It is suitable for up to 4 luxury chalets, total 32 guest beds. Location: Gosau-Mittertal, in the touristic center of the Gosau valley. Sunny, southern orientation. Direct view to the Gosaukamm mountains. This is a quiet location with no thru-traffic or major roads. The main village road, which is approximately 120 m away, is a dead-end road and ends after 5 km at Lake Gosau. There are no residential areas or other villages after Gosau itself. Ski-piste and Hornspitzbahn cable car station: located directly at the ski piste. 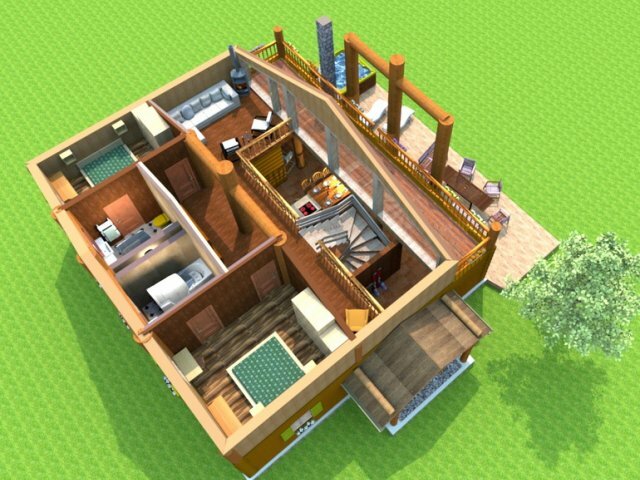 Ski-in / ski-out location! "Night of Balloons" (winter festival with illuminated balloons) and FIS Snowboard world-cup race at Hornspitzbahn, in the direct neighbourhood. It shall be noted that the project qualifies as an "economically exceptionally valuable business investment" (= "Investition mit besonderem gesamtwirtschaftlichen Nutzen") under Austrian state rules, and by this gives the investor the right to apply for a permanent Austrian residence permit for him and his family. With investment volume of approximately 4 Mio. Euro, and an expected pre-tax profitability (EBITA) of 8,8% per year from touristic rental income, this project is a perfect safe-haven investment for the single investor, who is looking for an investment opportunity with permanent positive cash flow and excellent prospects for long-term appreciation and inflation protection. If you are interested in this type of investment, you can ask additional questions by simply clicking on “Ask the experts” button.